Sanaa & Brian were one of the incredibly sweet clients I was honored to work with this spring. 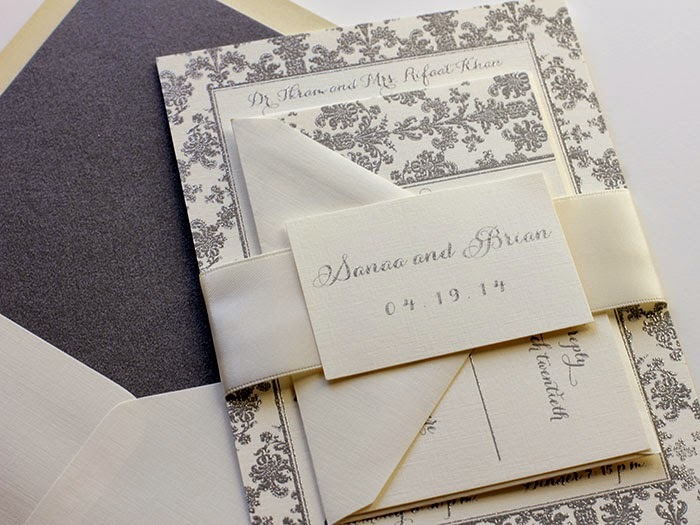 For their big day, they chose the Border Damask wedding invitation suite in metallic silver thermography. You can see a photo here of their wedding invitation with the ribbon belly band. 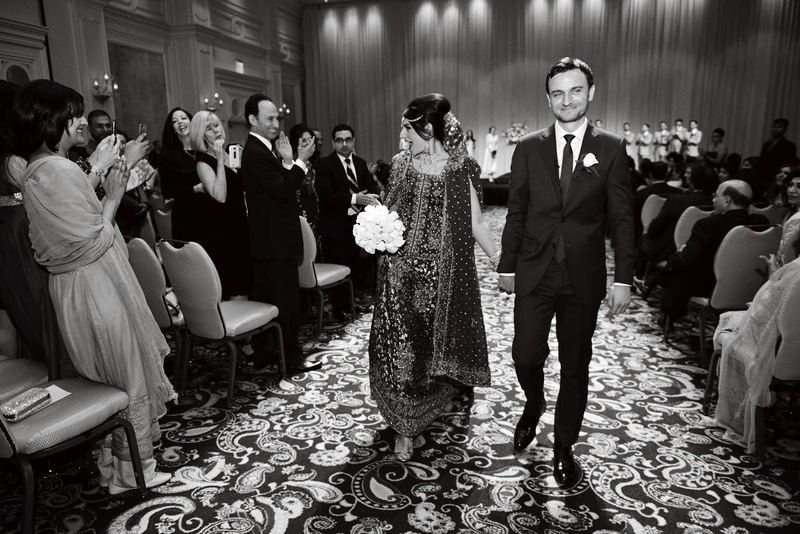 Sanaa & Brian were married at the Bellagio Hotel in Las Vegas. Their photographer, Indigo Foto, did an incredible job capturing all of the beautiful moments and details. You can see even more of this stunning wedding here. Thank you so much to Sanaa & Brian for sharing your beautiful wedding day & many congrats!